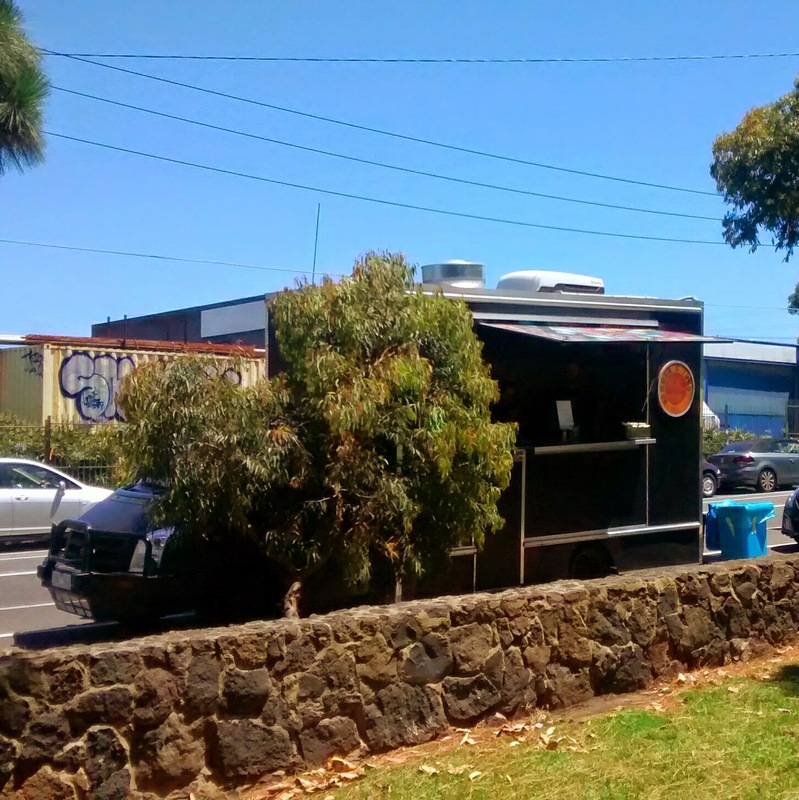 On a sunny summer afternoon we wanted to grab a local lunch, but fancied a change from our regular Footscray haunts, so we headed down the the Food Truck jam at Yarraville Gardens. Despite the talk of a crack down by the council there still seemed to be around 10 trucks offering a reasonable variety of options. I ended up ordering from the Greek street food truck, the better half went for a wheeled outlet we hadn't spied before, the Hammer and Tong truck. It's a new offshoot of Brunswick Street Fitzroy’s Hammer and Tong 412, which we haven't visited either. 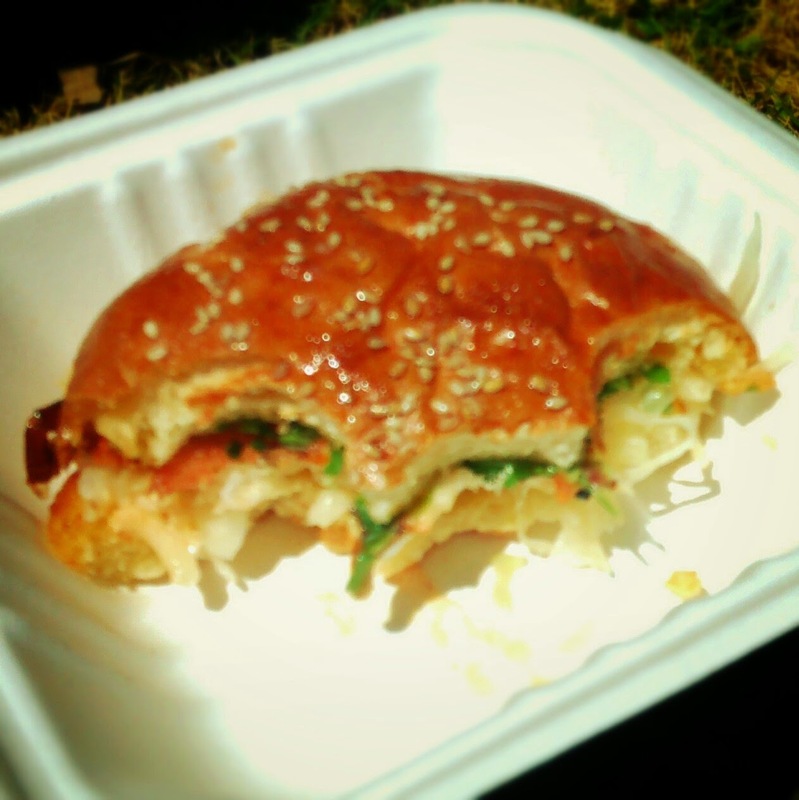 She made the choice based the soft shell crab burger which sits at the top of their fairly short menu. It comes with a sriracha mayo, black sesame slaw and coriander and was delicious, so good I wasn't offered a bite. To be fair the burger was ready way before my meal, one of the downsides of ordering from different trucks.